.This week we are changing it up a little bit on the blog. 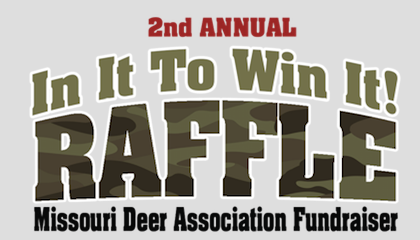 As many of you know we are members of the Missouri Deer Association and August is the time for the annual convention. To buy tickets online: Click here!!! This year it is going to be held in Branson, MO, only three hours from the ranch, at the Chateau on the Lake, August 23-25. 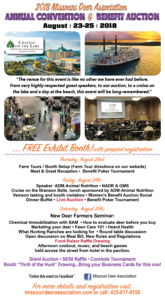 Throughout the convention there will be many guest speakers and booths from many of the industry leaders in Missouri and the country. Oak Creek will be having farm tours August 22nd so if you want to tour the farm and see our new state of the art fodder system or the deer give us a call and RSVP. This year, Donald will be speaking on What Hunting Ranches are looking for, while Nick will be giving two presentations, Fawn Care 101 and Herd Health. All three are very informative and will help any level deer farmer. Also during the convention, there will again be a gun and hunt raffle. 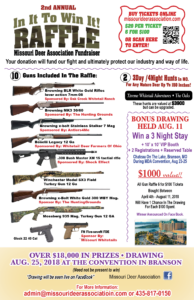 There are 10 high end rifles, shotguns and handguns and two 3 day/4 night hunts to be given away. The tickets are $20 each or 6 for $100. Don’t miss out on an excellent opportunity to help this great organization and at the same time maybe winning a really nice gun or hunt. Now back to what went on at the ranch this week. The guys found one of the fawns sick. It had diarrhea. This is very serious and the guys jumped on it quick. They got it cleaned up and gave it medicine to help it get back going. If you want to take a look at any of the previous episodes of On The Ranch. You can watch it by clicking on the link below. There is a subscribe button at the end of the video. Click on this to get link in to the Oak Creek YouTube page so you never miss another video from the guys at Oak Creek. You can also click on the video playlist links at the bottom of the video. It will take you directly to that playlist.